The big question which strikes me everytime I search for Rakhi Gifts on Google is to why every year the number of websites increasing to sell Rakhi on Raksha Bandhan online. Is it that the profit margin is more than four times if all the expenses and investments are substracted. To some extent I do agree with my thoughts as one Rakhi in the market near my house just cost somewhere between Rupees 20 to Rupees 50, and on Rakhi selling websites the minimum cost of a Rakhi is around Rupees 150, which goes up to couple of thousands. Is this the secret of selling Rakhi online with few most searched keywords such as Send Rakhi to India, Send Rakhi to USA, Send Rakhi Worldwide, Send Online Rakhi, and more. There is one more catch to online Rakhi selling, and that is its weight. The courier cost, or in other words the delivery cost, of Rakhi is the minimum due to the light weight nature of the product. Looks just virtual. Or does it has any practicality for me is not yet known, but of course the online Rakhi selling websites are too much helpful to Indians living abroad. Just few mouse clicks is what it takes for the sisters in USA, Canada, Europe, Australia and other overseas places to show their love to beloved brothers on the festive occassion of Raksha Bandhan. Thali dressed in glitering gold with golden lace decoration. Things included - rakhi, rice, tika, diya, supari (betel nut) and ganesha. online rakhi buying and selling is perfectly the call of the time this raksha bandhan as i noticed there are lots of sites selling rakhis successfully and also there are lots of people who buy rakhi online. 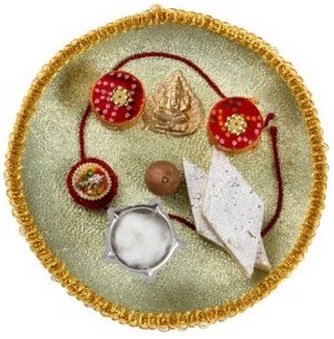 I really love to send rakhi to USA this year to my sister from above websites. 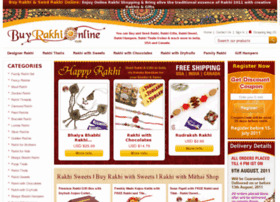 Your examination of selling market of Rakhi website is good. I like to buy Rakhi as you given website. Rakhi says all emotions and regards through the this priceless thread, the sign of purest bond ever.take the advantage of these online services to reach at your brother and sister and getting a happy smile on the face.